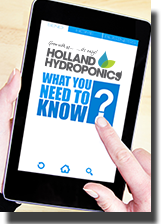 A range of hydroponic nutrients designed specially for systems such as flood and drain, deep water culture, AutoPots, NFT, IWS and dripper systems. These nutrients contain all the essentials to give your plants a superb start. GreenFuse Grow by Growth Technology is a super concentrated organic growth stimulator developed from highly concentrated & soluble natural plant extracts to help your plants reach their full potential during the vegetative phase with strong stems, healthy leaves and an abundance of new shoots. GreenFuse Bloom by Growth Technology is an organic bloom stimulator developed from highly concentrated & soluble natural plant extracts to help your plants reach their full potential with an abundance of colourful flowers and fruits at harvest. Samurai Hydro Grow & Bloom A&B are complete hydroponic nutrient feeds to rival all others, with precision ingredients blended meticulously to a strict code of perfection. 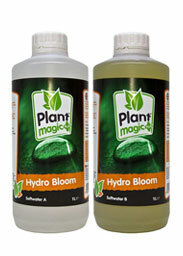 Shogun Fertilisers Hydro Nutrient is a much needed breath of fresh air.